Coming from Gottlieb, this argument should be taken with a grain of salt (Gottlieb has acknowledged relevant conflicts. 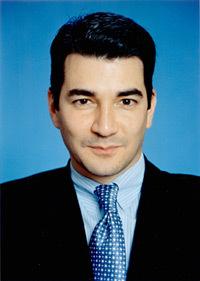 As a former FDA official in the Bush administration, see (HERE), he had to recuse himself from decisions involving Eli Lilly drug approvals; Eli Lilly sponsored research led to the invention of thimerosal). But Gottlieb was merely the point man for a commonly held view in the vaccine and medical industries. And over the last few months the vaccine industry has shifted their promotional activities into overdrive, eagerly exploiting the opportunity to market the novel threat of the swine flu. In the process they have bundled their full throttle marketing of flu vaccines with a renewed push to eliminate what they see as unnecessary obstacles to flu vaccine production (what others might call prudent product safety measures). From Wall Street to the FDA to Off-Label Drug Huckster for Lilly. The Strange Career of Scott Gottlieb By MARTHA ROSENBERG As critics feared, soon after assuming the number two FDA position, Gottlieb had to recuse himself from resource planning for a possible bird flu epidemic because of financial ties to Roche and Sanofi-Aventis. He also had to bow out of work related to Eli Lilly, Proctor & Gamble and five other drug companies......Now that he's left the FDA, Gottlieb is helping sell Lilly's osteoporosis drug Evista which the company was convicted in 2005 of marketing, off label, for anti cancer and heart disease purposes.